Are these the Softest Poker Games Online in 2017? SNG 2.0s are our pick for the softest poker games online right now in early 2017. A mix of Jackpot Poker and 9 man SNGs, recreational players are flocking to them and early software problems have been ironed out since the launch of the fishy new game format in December. A pre-game draw determines the no. of players that’ll finish in the money and the size of the random prizepool – with a shot at a mega jackpot, currently in excess of $70,000. SNG 2.0s are available on all Winning Poker Network skins, play at Americas Cardroom and Black Chip. Both rest of world and US poker players from 43 states are accepted – those not include New York, Louisiana, Kentucky, Maryland, New Jersey, Delaware, Nevada & Washington State. Whereas in years past PartyPoker was considered to have the softest poker games online, the departure of USA players from all but a few poker sites has changed that. Forum posters are reporting fishy tables thanks to the lottery element. Similar to Spin & Gos (available on WPN as ‘Jackpot SNGs’), players in SNG 2.0s tend to give up when the random prizepool is low, or there are only two payouts. SNG 2.0 counts towards rakeback as normal. Rakeback grinders can open 10 SNG 2.0 tables at a time. Get a 27% rakeback deal by opening an account at Americas Cardroom or Black Chip Poker via this page. In fact while clearing the $1,000 welcome bonus players earn 41.6% net rakeback. Open an account at several skins to earn several bonuses. Ya Poker is another WPN skin. In this Twitch broadcast from Thrash370 a $9,000 jackpot prizepool is hit in a $27.50 buy in. All 9 players received prizes, with $450 for last place. Right now it’s OSS time at WPN with millions of dollars in guarantees. Some of the multi-table tournament players will fire up SNG 2.0s on the side and play less than optimal. The series culminates with the BOSS $750,000 main event on May 7. Join our OSS freeroll satellite on April 27 and stay tuned for our BOSS freeroll. Rakeback.com also recommends Grand Poker for 50% rakeback and access to US poker players on a small but growing network. The Chico network also has soft poker games but low rakeback ($2,500 deposit bonus clears at 33.3% in MTTs and SNGs). US players can join via BetOnline and RoW players via TigerGaming. If you missed the news Ultimate Bet and Absolute Poker are returning lost funds which will bring many casual players back to the tables. 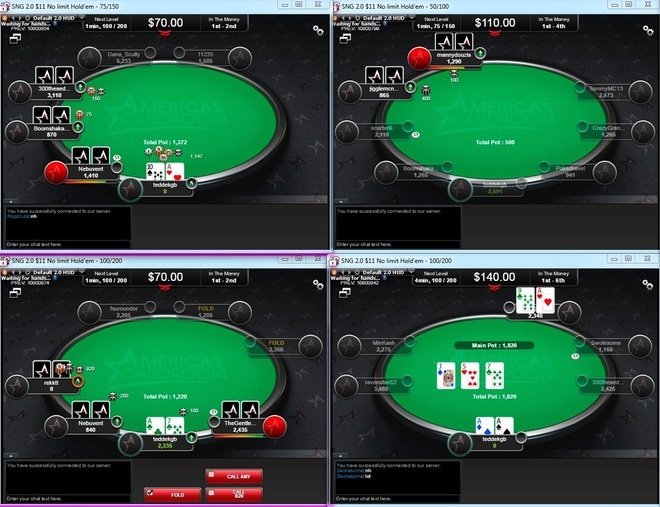 It’s never been a better time to jump into some of the softest poker games online. The deadline to file a claim is June 9. Read more here.